What a roller coaster. Our posts of 2017 indicated huge increases in probate fees for England and Wales but that the proposal had later been dropped. Unfortunately the plan has been resuscitated by Government and is due to be implemented from April 2019. 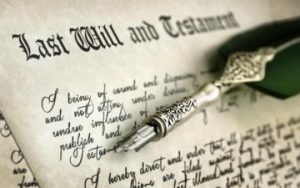 In England and Wales, probate fees – paid to Government on administering someone’s estate after they die – will now be paid as a sliding scale depending on how much the estate is worth, rather than as a flat fee. At the moment, families pay a flat £215, or £155 if they apply through a solicitor, on estates over £5,000.